Both Gilligan and Rosenberg have helped me see that violence is best understood as tragic, not immoral. Violence, especially of the kind that Adam Lanza committed, is a response to suffering that cannot be contained within one’s body and nervous system. The suffering, as Gilligan describes in his meticulous description of one murderer after another he had worked with as a prison psychiatrist, is the result of shame, most often shame related to the very experience of being human, sensitive, and having vulnerable needs. Gilligan talks about soul murder, which he believes has happened to all the people he interviewed in his 25 year career in the Massachusetts prison system. Unlike me, he speaks with the authority of countless encounters. I can only echo and make sense. Last week, before knowing any of this would happen, I wrote about institutionalizing the experience of mattering. I am convinced, in the visceral, clear inner intuitive knowing that I sometimes have, that people who don’t know they matter are more likely to cause harm than those who have a clear sense of their place in the human family. Lanza had no friends, nothing he knew to do to make a life for himself, nothing to look forward to in life. I have no doubt he carried enormous shame about being so dependent on his mother, so unable to fend for himself. I have seen rage, shame, and numbness before being intertwined – both individually and in whole groups of humans. The other strand of sense-making I got from Gilligan is that he believes every act of violence is an attempt to create justice, to right a wrong. When I first read this line, a puzzle was finally solved for me. It’s all about the inner reality, not about any kind of objective reality. While others may not see the “injustice” that is being addressed, the tortured soul of the one who commits violence knows. 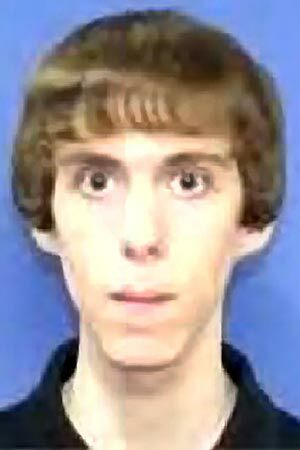 It’s hard to salvage information from what I read about Adam Lanza, because the general tenor of what I read is already tainted by the assumption of evil, and therefore his own experience, what might have actually been going on inside of him over the years and as he set out to do his act, doesn’t feature. So I am left to guess, to imagine. I have no doubt that the precursor to violence is excruciating pain and discomfort, not a clear, calm resolve to inflict harm; enough inner turmoil that our natural human care gets turned off. What might have happened to Adam Lanza early on in his life, maybe around the time of moving to the school where he executed his deadly actions, that created such a gulf of pain and anguish? I am thinking of that age, because Alice Miller points out that the specific acts of killers often give us direct clues to what happened to them. I doubt we will ever know. I still find asking the questions worthwhile, because they point me in the direction of prevention and of healing. At the very least, they allow me to mourn and grieve without turning anyone into a monster. We are all human, and something terrible happens to some of us. What can we do to have less, or none, of this horror happen? I then read an article written by Liza Long, the mother of a 13-year old who exhibits intensely violent behavior, and many of the comments written in response. Liza maintains that the issue is mental illness, not gun control. I am actively unsure, even as I attempt to maintain a most humble stance. Along with Gilligan, I see violence, and the specific problem of mass shootings, as a form of horrific and tragic feedback to society that we are not providing the conditions that allow people to thrive. I am troubled by what I see as medicalizing and individualizing a social problem, because I want the issue to be addressed on a societal level, and I worry that the individual lens will distract us away from the issues I want us to focus on. I have a personal dear friend whose son struggles with similar issues to what Liza Long describes. My friend has had numerous wrenching, poignant conversations with her son, and has learned a lot about the level of his suffering. Like Long’s son, my friend’s son experiences sensory overload. He finds just being alive in the world so challenging. She has two other children who have none of these issues. Of course there is individual variation, and not everyone, no matter what has happened to them, will respond violently. My friend struggles to understand, to connect deeply with her son, to find ways of responding, reaching, supporting his body and soul without labeling him, without resorting to drugs or a system that is in any event broken. She uses the experience to learn, to help everyone grow, to become humble. I want to keep asking: what is happening on a larger scale that is affecting more and more children? What are we doing, collectively, that is resulting in so many children having so little capacity to manage their inner and outer lives? How can we take societal responsibility for the conditions we have created that affect many more than those who engage in overt violence? 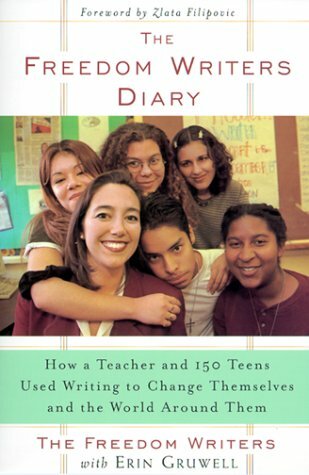 Last week, while away and not knowing of the killings, I listened to the book on tape version of The Freedom Writers Diary – the diary entries of a group of high school children who had been deemed unteachable, and who had the extraordinary good fortune of being assigned a teacher who found her way to their hearts to create lasting transformation. Many of these youngsters were gang members or drug addicts. The repeating theme from their diaries was that prior to meeting their teacher and working with her over time, they had no sense that they mattered, that their lives meant anything to anyone, including themselves, that anyone cared. How can it be that we have created an environment in which this experience is so common? Part of what leaves me so doubtful about the idea that the issue is one of mental illness is its acknowledged correlation with low income. If poor people are more likely to experience mental health issues, I am once again drawn to seeing the social dimension rather than the medicalized, individualized picture. I would prefer to see depression, anxiety, substance abuse, and other forms of emotional suffering as responses to intolerable conditions rather than as the issue itself. Treating the symptoms rather than the underlying conditions is, as I wrote about some time ago, a form of eliminating feedback loops. By labeling something as mental illness we are not seeing the patterns and are less likely to shift them. The very first thing I wish for is honesty about the role of violence in our lives. At every turn we learn, again and again, that violence is an acceptable solution to conflicts and issues. The media, video games, our foreign policy, and our criminal justice system all demonstrate the same logic. Whatever the personal traits of a single individual, and whatever else we want to say about access to guns, Adam Lanza didn’t invent the option of a violent response. Blaming specific individuals and calling them monsters when so much violence is a daily presence will not create any real shift. If we are serious about reducing or eliminating violence, I believe it would take a fundamental and deeper examination of the very premises and foundations of how we live our lives, from the metaphors we use to the role models we look up to. Before concluding this piece, I read a response that spoke deeply to me. 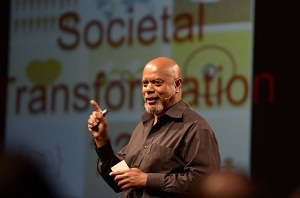 Sharif Abdullah, with whose message I find frequent resonance, is inviting us to break out of the soul pain and emptiness we feel, and aim to transform the culture of violence we live in. Nothing can undo the horror that happened. I can’t begin to imagine how the families and friends of those who died, as well as the rest of the children and staff at the school will ever heal from this trauma. I can only hope that enough of us learn to identify the true causes of such horror, and come together to create a truly nonviolent culture in which pain is met with love every step of the way. Since violence is inevitably born of unmet needs, there is no question that the path to eliminating violence is the path of finding ways of meeting more and more needs for many more of us. Although, ultimately, I see the solution as societal transformation, until such time, and to support its possible coming, I know we can each take steps in this direction. Years ago, I lived in a building where I regularly saw a girl I believed was being abused. There were odd sounds coming from the apartment where she lived. When I saw her, she always looked sad. I was haunted by the question, I still think about her from time to time. I did nothing at the time, because, like most of us, most of the time, I succumbed to fear and isolation. I’d like to believe that were this to happen today, I would find a way to reach out, to her, to her family, whose generational configuration eluded me, and make human contact. 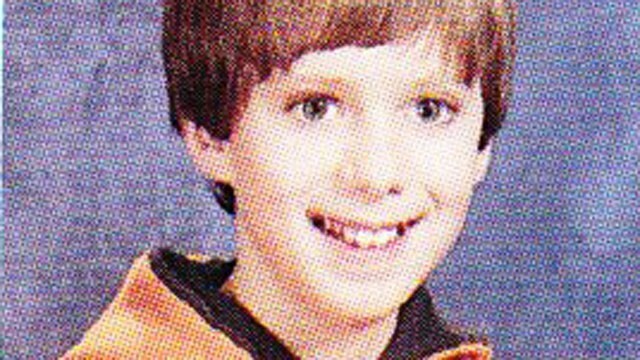 When I look at Adam Lanza’s picture, and hear the stories about him clutching his briefcase and being so withdrawn, I wonder if anyone, ever, listened to him, invited him to pour out his soul. There is much we can’t do, and yet I want us to transcend, each and all, the despair and apathy that keep us isolated and protected. It’s one microscopic step we can take, because we all know how to let people know they matter. We can model, at whatever scale we operate, the world we want to create. This entry was posted in Uncategorized and tagged Uncategorized on December 20 / 2012 by Miki. Beautiful writing Miki. I had the same reaction when I read Alice Miller—after I finished sobbing for myself and my hidden pain! There are more like him, walking next to you in your country. They are enjoying now and I am afraid it will give them boost to repeat it somewhere else. What causes the violance? Yes, you are right, violance -but first violance towards animals. Every muurderer sees the power of pain in younger siblings, domestic animals, farm animals and it expands further. First of all, I want to say I applaud your courage and willingness to express what was going on for you, and to look inside to see what may be going on. thanks for responding even though you are so busy. I appreciate this article and also the thoughtful comments. The sensationalism surrounding this event made me sicker than the event itself. Thank you, Miki. I've been longing to read something that helped me make sense of how I've been feeling about this tragedy. I feel lots of relief, and finally tears coming. I had been kind of in a sense of shock since I first heard about it until now. I appreciate the guidance I got from reading this that is helping me to grieve and connect to what matters to me. Thank you Miki for this post. I have been struggling to put into words what I have been feeling around this and your words are very meaningful for me. I also came across a letter to Adam Lanza from Brother Phap Luu, a monk at Plum Village. He grew up in Newtown, Connecticut. Perhaps some of you would be interested in reading this. I found it to be very poignant. "We all know how to let people know they matter." I love your quote here. It's simple and truthful. At the end of the day we all just want to feel that we matter to someone and to ourselves. Lanza killed because he had Asperger's disorder: Dead inside = dead outside. The only societal contribution was allowing him to become unsupervised by family and professionals and allowing access to weaponry. Multiple other shooters who engaged in ruthless targeting of victims had signs and/or diagnoses of autism or Aspergers: Colorado, Norway, Port Arthur, etc. Seems like most of the people I meet react to the Newtown incident with the will to punish back. People tell each other gruesome stories of the pain they would inflict on the "monster" if they had the chance, and it's all "good". I'm not comfortable with any of that, even if it is only words. I so so appreciated reading your comment. I have a friend who has a similar struggle, and she would like to talk with you. If you are open to that, please contact me through the BayNVC website. Thank you so much.